Wedding Color and Style: What Does Not Work for your Wedding? Simply because you’re crazy about orange and purple, for example, it doesn’t mean the combo will suit your wedding décor. There are expectations, of course, but in general you shouldn’t combine more than 3-4 colors for your wedding. Using similar blends when decorating adds cohesion and flow. Narrowing down your palette and deciding on just a few colors prevents your wedding décor from having a messy, unorganized feel. If the goal is to craft an avant-garde, undone look, choose different shades of the same color. This way, you add depth and prevent your deco from looking chaotic and unorganized. For a striking style with a hint of originality, a monochrome décor with a bold hint such as turquoise or vivid purple adds a touch of glam. 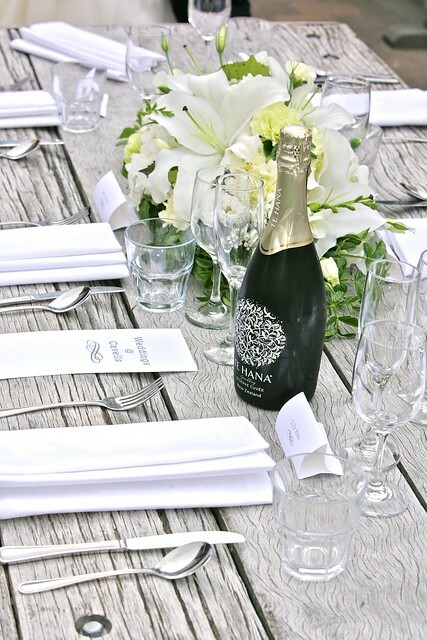 The main focus should be to craft a beautiful, tailored wedding décor with an impact. Just because some colors are trendy and everyone is using them, it doesn’t mean they will work for you. Letting yourself get carried away by what’s cool and completely ignoring what you actually like may lead to a wedding décor disaster. The palette you’ve settled on should make you go “wow” in a blink of an eye. Consider the patterns and colors all around you on a daily basis. Then ask yourself: which of these colors make me feel the happiest? When choosing a style and color palette for your wedding décor, pay close attention to color ratio. Do not ignore the eye’s need for peace and tranquility. Even though you’ve settled on two dominant colors and you love them both just as much, doesn’t mean you should use both in a 50-50 proportion. Before moving any further, choose one color to dominate the scenery. The choice will then affect further decisions you’ll have to make for lighting and linens. If bright orange is your favorite, a second color should be less striking. Go for a pastel pink or pale baby blue rather than bright aqua. It’s very important to choose colors that complement your décor beautifully, and not distract. Balancing colors thoughtfully is fundamental to making even the boldest, craziest blends work together beautifully. Certain color blends have obvious connotations. Red & green, or white & blue are over-used blends we’ve seen over and over again at weddings. Your wedding shouldn’t remind your guests of some other wedding. If these are your favorite shades, then so be it. But add them in combination with a third, more unusual nuance to give your décor a sense of complete originality. Steer clear of Christmassy blends, or combos that are specific to an important national or international holiday. Yellow dresses for your bridesmaids and red bouquets might make your guests think about McDonald’s. And you certainly don’t want to see that happen in the most important event of your life. If you’ve already decided on a venue, the color palette you want to use for the décor may not blend smoothly with the tone of the venue. It’s very important to assess the wall coverings, flooring, and art already embedded. Then make sure it goes well with your preferred floral arrangements, linens, etc. Prioritize and then make a decision: do you want to stick with your favorite three color blends and change venues, or vice versa? Country clubs dominated by maroon and navy carpets, can’t sustain a striking blend of fuchsia and pastel turquoise. 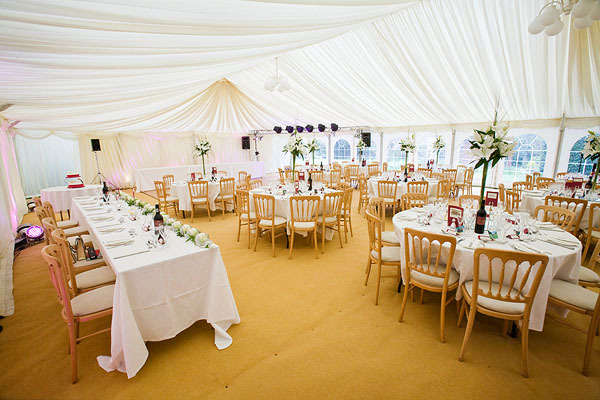 Sure, there are always solutions, and you can cover up the original décor of the venue. But you’ll end up spending a lot of money. 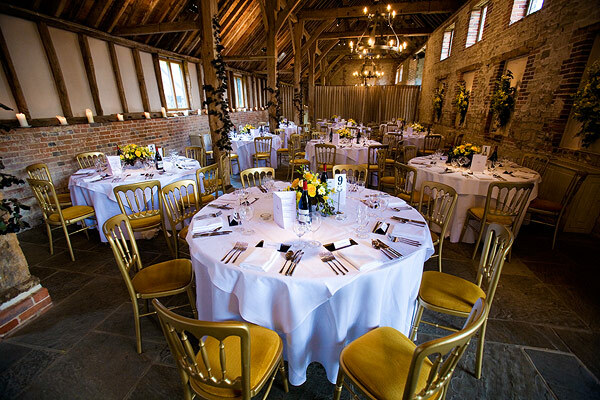 A smart move can be to decide on a venue that’s decorated in the simplest way possible. Suffolk cottages holidays that feature earthy tones of brown and vintage-inspired décor, can be brought back to life with beautiful floral arrangements. If you’re not a fan of wild, seasonal flowers, you can keep things simple with white & pastel orange roses. The blend will give a completely different allure to a venue that looked boring and way too old-fashioned in the beginning. BunchesDirect would like to thank our guest blogger Maxwell Donovan of the beautiful Wilderness Reserve luxury holiday cottages, for another amazing post! This entry was posted By :admin // Thursday 06 April 2017 5:34 // no comments.